Want to install new aerial or satellite TV? 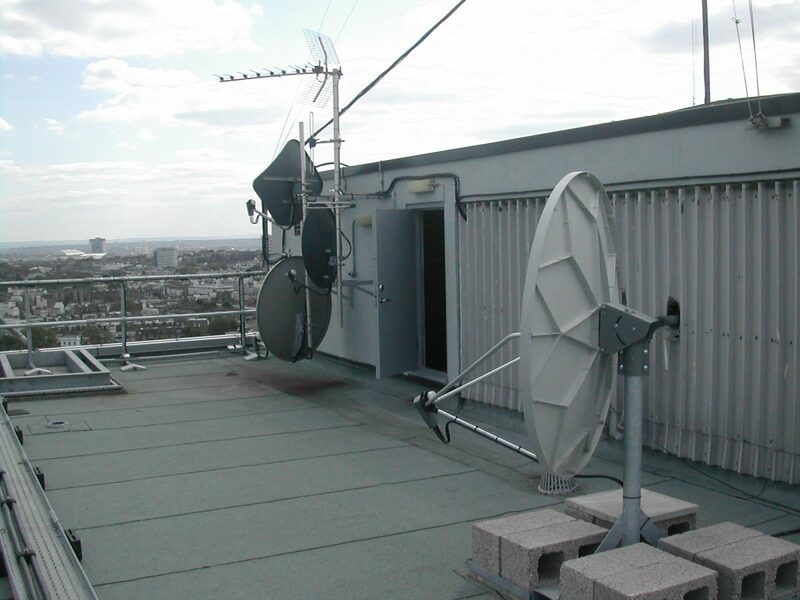 We design and install new aerial and satellite systems for commercial premises, landlords and private householders. Receive the inbound signal via an aerial rather than cables or a satellite dish, and distributed to various properties. Satellite dishes may be fixed or motorised (turning to different satellites), and can be set to receive any European and ‘free to air’ satellite programmes. When you want to receive the satellite signal from abroad. For the latest in home cinema. Communal aerial system that can serve hundreds of homes. Combining multiple inbound signals to create your own output. transmitting the inbound signal to multiple locations. Remember, we are primarily a commercial installer, so we can fit aerial antennas and equipment in difficult or high places that domestic installers may not be able to reach. We also supply quality products and undertake testing to commercial standards. As well as installing new aerial and satellite systems, you can also call on us for emergency repair work and ongoing maintenance for your existing system. Have an existing aerial or satellite TV installation? We can upgrade or extend your existing aerial or satellite system, for commercial premises, landlords and private householders. Depending on each situation, cables may be overlaid along their existing route, or completely rewired. You can also ask us to re-site existing equipment to a better location, or just to tidy up the cables to leave your property looking neater. Need help with your smart TV? They are not all as simple as they seem! If you’re stuck, you can ask our experts to help set up your smart TV, tune in channels and teach you how to download films. As well as upgrading existing aerial and satellite systems, you can also call on us to install a brand new system for you. Anything Electrical, Anything Cable, Everything Tidy!